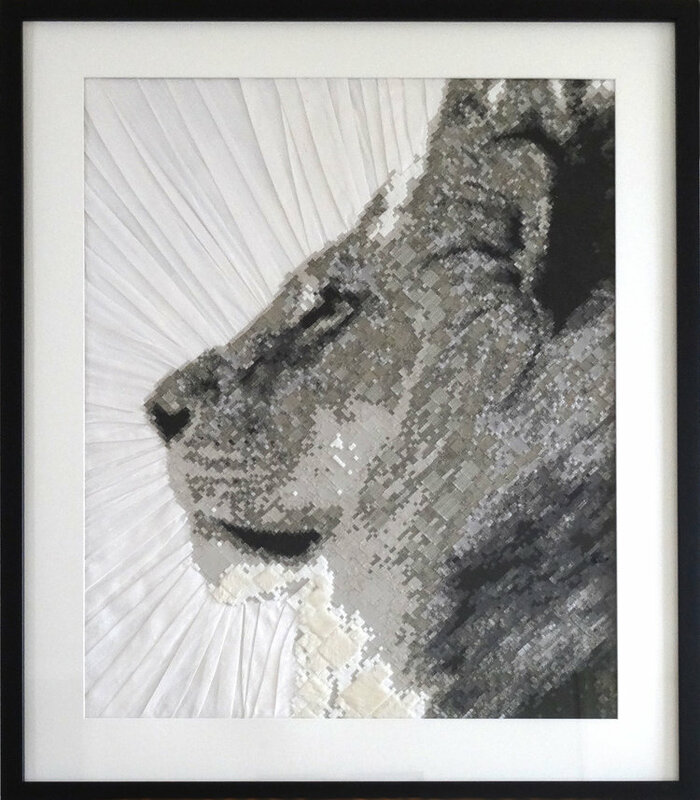 LION RADIANT | Sustainable Textile Pixel Original Artwork | Professionally framed, 4 cm black frame, 8cm white matt board. Finished size including frame 105cm x 114cm. This Artwork has been created from around 15,000 squares of fabric pieces. The fabrics include, Silk Dupion, Bamboo Velour, Hemp Fur, Denim, Satin, Up-cycled Polyester, Organic Cotton Duck. I manually cut all of the fabric pieces by hand, smallest of which is 5mm, then transferred each piece into place.